In my house, chilli nearly goes on everything. 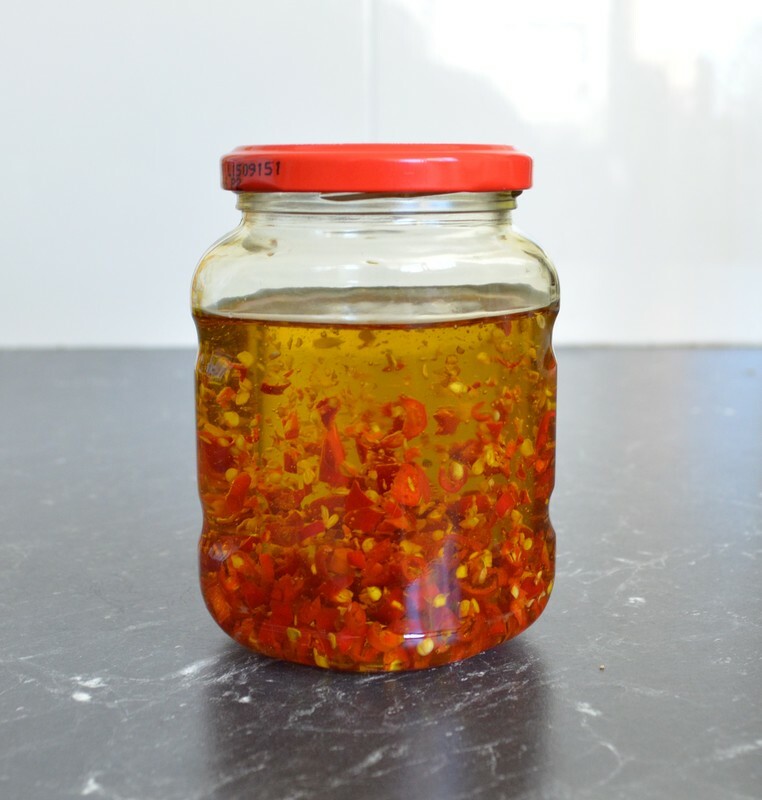 This chilli oil is so simple to make, I would never buy it again. I keep mine refrigerated, just remember to take it out in advance when you need to use it. It should keep for about 2-3 months. Chop the chillies finely, pop them into a 250ml jar and add the olive oil. Screw on the lid and give the jar a good shake. The longer you leave it, the hotter it gets.